Drag the points or alt-click the plot to add or subtract points from the dataset. 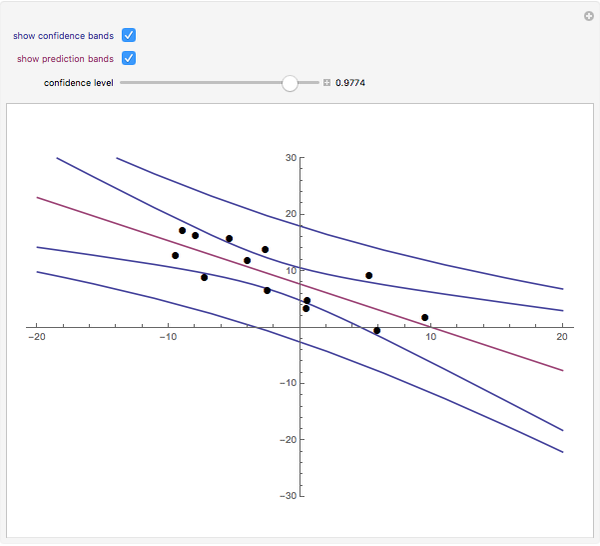 The least-squares regression line for the dataset is shown, as well as the option to include confidence or prediction bands with a confidence level that you can adjust with the slider. 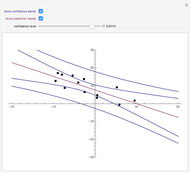 The least-squares regression line is the line that best fits a bivariate dataset in the sense of minimizing the sum of the squares of the vertical distances from each point in the dataset to the line. Denote the points in the dataset ( . Assume that follows a normal distribution whose mean is a linear function of (with unknown slope and intercept) and whose standard deviation is a constant function of . Then a confidence interval for the expected value of can be constructed using standard techniques. As the expected value of is a function of , the endpoints of this interval will be as well. 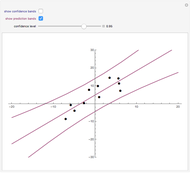 When plotted as a function of , these endpoints form "confidence bands" between which runs the regression line. 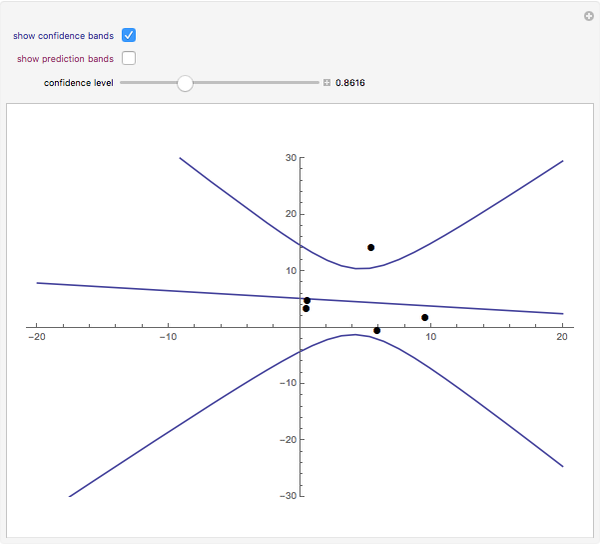 A confidence interval for the value associated with a new value (as opposed to a confidence interval for the mean of all such values) is called a prediction interval. 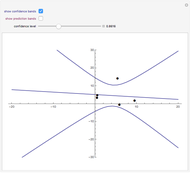 Its endpoints are also functions of , which when plotted form "prediction bands". 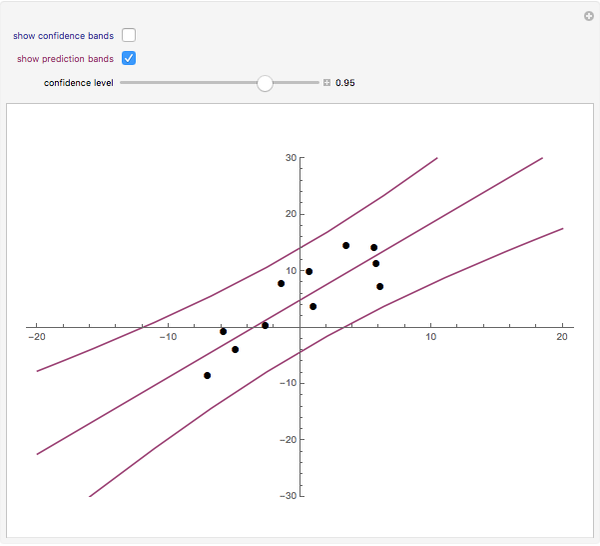 As individual values vary more than their mean, the prediction bands are wider than the confidence bands. Chris Boucher "Confidence and Prediction Bands"